My daughter was recently given the opportunity to promote a well-known anti-aging system which includes expensive skin creams. She refused for various reasons. Her main reason was because she thinks that the current anti-aging obsession is wrong because it almost makes it a crime to grow old and people spend small fortunes trying to reverse the signs of aging. She believes that older people should be respected for what they have lived through and what they know and not reviled for the external signs of aging. On top of this she has never been that interested in the beauty business, even though she did some modeling during her student years and while expecting her third child and has been head-hunted by several top modeling agencies, even though she is no longer in the age-group where most models are usually recruited. I would have encouraged her, because of the financial benefits, but when they told her she would have to either shave her arms or have her portfolio pictures touched up, she rebelled. She told me they have to accept me as I am or not at all. I can understand where she is coming from. The pictures of impossible beauty are a joy to see but they are not real. Trying to become perfect has been the downfall of many a teenager as she tries to control her weight to look like a model whose skinny body in the photo is the result of manipulation of the photo are does not reflect reality. Her skin routine has basically been olive oil and Vaseline and she looks gorgeous with it. She inherits striking good looks from her father’s side of the family and my side of the family tends to age quite well, so her genes probably have a lot to do with it and such a basic beauty regime wouldn’t work for everyone. However it got me thinking. Some of the best beauty bargains available can be found in your local supermarket and I decided this site should contain some health tips for people who want to look their best, but who don’t have the means to buy expensive cosmetics or indulge in expensive treatments. The best lip balm available is pure Vaseline and it only costs a few dollars. My daughter uses Vaseline for her lips eyes, uses it to take off her make-up and to moisturize her skin. I’m not sure such a basic skin care routine would suit everyone, but it works for her. However, if you do decide to spend a bit more and buy one of the many lip balms on the market, avoid any containing phenol as this chemical strips the top layer off your lips removing their natural protection. Olive oil can be used topically to hydrate your skin and nourish your hair and scalp, as well as being a healthy oil for cooking and using in salads. Its main drawback is that it sometimes has a very overpowering smell, which puts many people off using it. Olive oil is recommended as a treatment for dry skin or flaky scalp. This is one method of giving your skin a beauty treatment that can be followed once a week. 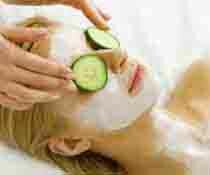 Smother your skin with olive oil and leave it on for several hours while you relax get on with other activities. Then wash it off in a hot bath. To treat a flaky scalp, massage olive oil into your scalp and hair and leave it on overnight. Cover your pillows with towels or wear a bath cap to avoid staining pillowcases. Cardiologists recommend using this polyunsaturated oil for cooking as it is better for your heart but this kitchen oil is also a super moisturizer, which can be used everyday and is found in many over the counter skin moisturizers. It contains linoleic acid that helps to keep the skin hydrated and acts as a protective barrier to the skin. 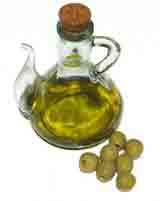 Our skin’ s own capacity to produce linoleic acid slows down with aging so using this oil replaces what we are missing.